These batteries are every bit as good as more expensive brands and I will definitely buy them again when the time comes. They arrived very well packed, and one day ahead of the expected delivery date. Thank you Tayna. Quick delivery, fitted my son's 'Gator' electric vehicle perfectly. Seems to work well, however, it's too early to say how long it will last, hence, only 4 stars! 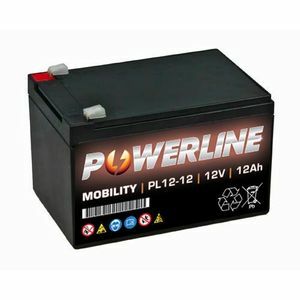 I regularly fit these batteries and have had no customer complaints what so ever and I have never had to return a battery. 100% confidence in Tayna. Envoi très rapide ! Bien reçu, propre ! Rien à dire ! Bonjour, Je suis très satisfait de cet achat. Excellent rapport qualité prix. Délais courts et respectés. Bravo !!! Perfect fit for mobility scooter. Delivered quickly. Will definitely use again. livraison rapide ( 1 semaine ) ; correspond parfaitement ( avec 2 Ah supplementaires ) pour un changement de batterie de vélo electrique norauto wayscral w301. Commande facile, arrivée en son temps sans problème. Continuez ainsi! bought primarily for charging a card machine & mobile phone & running some lighting on a stall at outdoor events where electric is not always available.Also as a back up battery for our small caravan.Very compact & lightweight,quick & easy to recharge.